Should I watch the rebuilds? By all means watch the Rebuild films if you're prepared to take them on their own terms. But if you will only consider them as a remake of the series you are likely to get very annoyed when you come to the aspects of them which are not. If you can wait 3 years unspoiled you should wait for the fourth movie to be available with english subtitles. 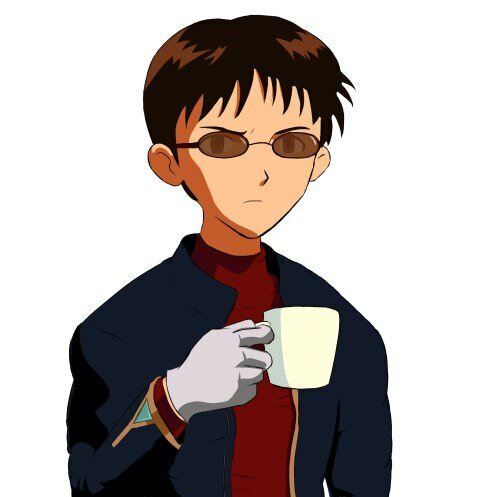 If you can't you should watch them, they get a lot of underserved hate just because they are named Evangelion and everyone expect them to be NGE with better graphics. But if you're asking about technical quality of animation and stuff - sure, Rebuilds are way better than the original series. It definitely adds to the overall experience in my personal opinion and allows you to join in more forms of conversation. If you think of and measure them based on their own merits and without allowing the original to sour your experience they're definitely worth while and of quality. Watch the first two. Then wait about a year. Do something else, I dunno. Watch some other trash anime or something. Then watch the first two again. Wait about another year. Have some fun. Read a book or whatever. Then, what the heck, watch the first two a third time. They’re fun and great, right? Right after that watch the third one. It’s weird, confusing, and extremely jarring. The film presents a rollercoaster of a ride that is hard to recover from. Sometime after watching the third film, rewatch the first two yet again. You’ll notice that the first two movies aren’t quite the same as they were before you watched the third one. Misato’s a different character entirely, and Rei is an even stronger anomaly than she ever was in the TV show. It’s almost like watching the third film for the first time summoned Anno himself to sneak into your movie collection while you were unaware and replace the first two films with other versions that are exactly the same, only different. You can never see these movies the same way ever again, and you miss the times when you could see them as they once were. I'm looking forward to something similar happening with Shin Eva's release. If I set enough traps, I can perhaps catch the summoned Anno as he's sneaking around my house replacing my Eva discs. Last edited by FreakyFilmFan4ever on Thu Nov 08, 2018 11:08 am, edited 1 time in total. 2. Couldn't I just rewatch them when it comes out? Any bets on who 4.0 will show off? Asuka... Sakura... Shinji? NGE had tons of fanservice too. Topic: Absolutely watch them. They blew me away. Just watch em now I'd say. 3.0 is a lot to unpack. It's exactly as I thought it would be. All the things that I like about Evangelion are gone in these films, like the direction, the tension that builds up, the cinematography, the sometimes slow pacing, the experimental side, the dive into the psyche of the characters. And I don't like modern digital animation. I don't like it, there's too much empasis on the movement rather that the subtlety. for example the cinematography in episode 4 is one of the best of the series and there's nothing like that in the rebuilds. Even the action sequences in EoE are way more subtle, for me the scene with Bach Air II feels like a choregraphy more like vulgar "crash boom bang". But maybe I feel like that because I really don't like its modern digital look.